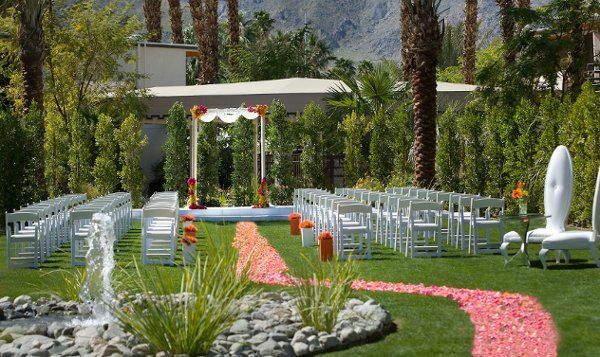 The Riviera Palm Springs is an intimate wedding venue located in picturesque Palm Springs, California. Couples will find many photo opportunities at this venue, with the snow-capped San Jacinto Mountains in the distance and the peaceful gardens located on the premises. Just like this spectacular venue, your wedding day will be unlike any other. 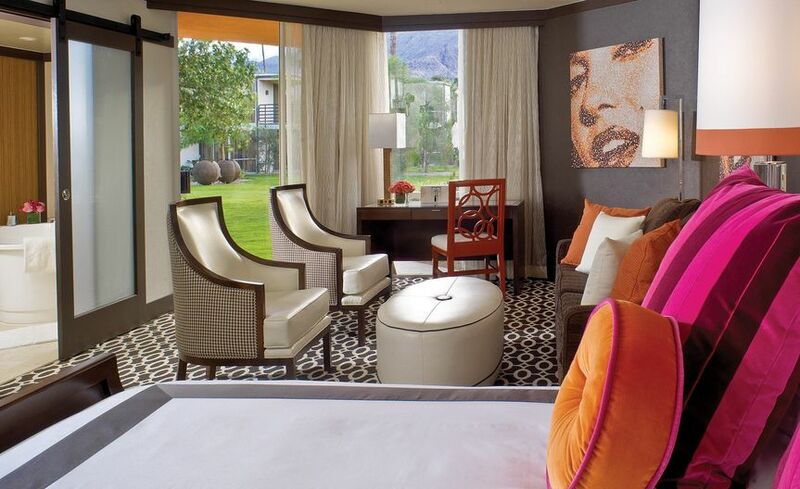 The Riviera Palm Springs offers the quintessential Palm Springs experience, with a vibrant and eclectic style that stays true to its historical, retro roots as a playground for celebrities like Frank Sinartra and Dean Martin. 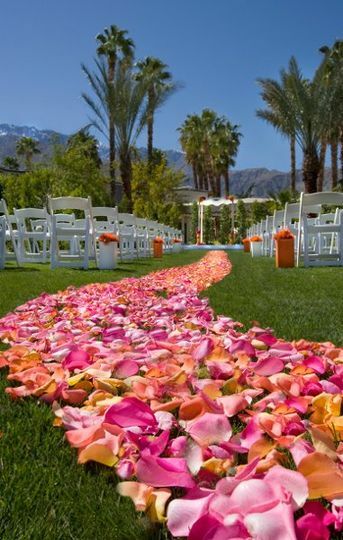 For wedding ceremonies and receptions, The Riviera Palm Springs offers its couples a romantic and relaxing experience for one of the biggest days of their lives. Their indoor spaces allow for tons of natural light to seep in through the floor-to-ceiling windows. Couples wishing for a wedding set in nature will enjoy the views and lushly landscaped outdoor space at this venue. 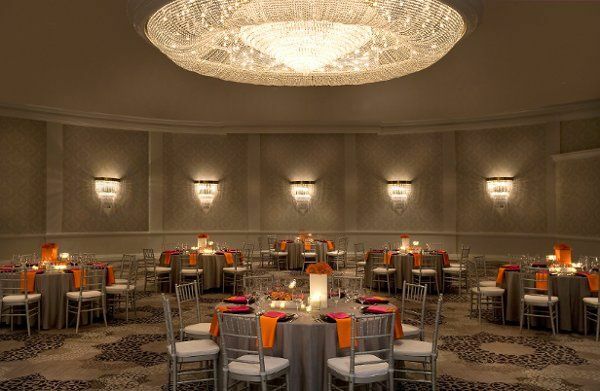 Indoor weddings can be held in the Grand Ballroom, featuring 19,670 square feet of event space and opulent crystal chandeliers, or in the El Dorado and Royal Ballrooms. 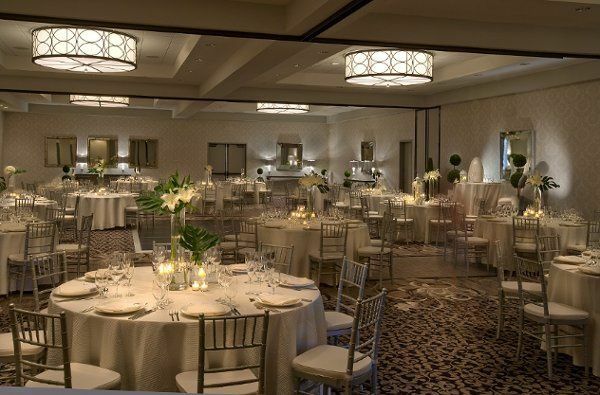 Couples can host up to 1,000 guests in the ballrooms. For more private, intimate events, there is also a dining room available. Outdoor weddings can be held in a variety of spaces on the 15,000 square feet of lush courtyards. Couples can celebrate amongst swaying palm trees and breathtaking views of the mountains. The Soleil and Chiki Pools, intimate gardens, and Palmetto Patio all provide a timeless, romantic setting for any couples’ big day. 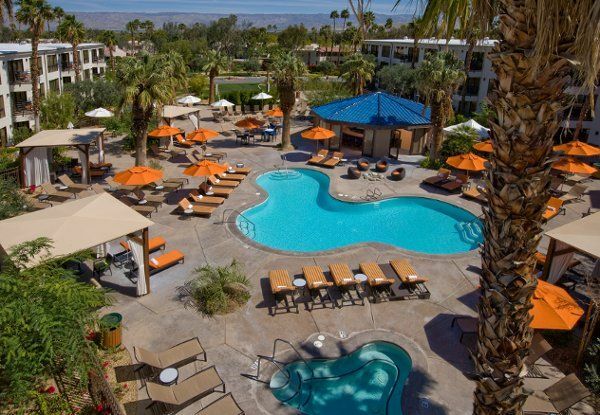 The Riviera Palm Springs is conveniently located in the heart of Palm Springs. Couples and their guests staying at the hotel will benefit from all that this timeless location has to offer. 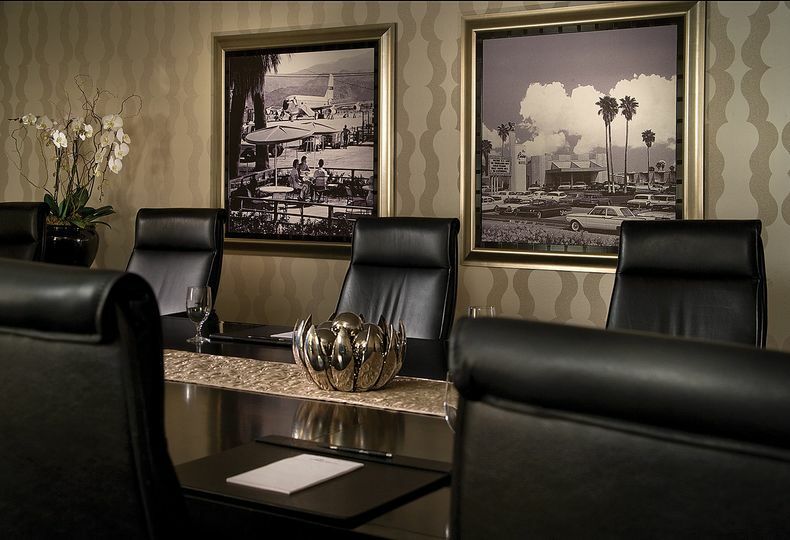 The Palm Springs International Airport is only a few minutes away. 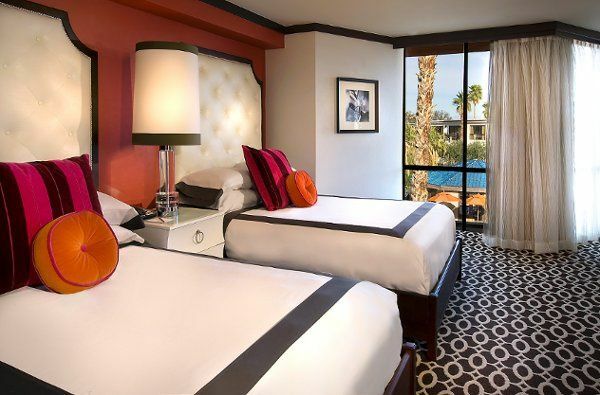 At this hotel, you will be close in proximity to nightlife, shopping, bars, and Joshua Tree National Park. The Deep End Pool is perfect for private poolside receptions. Getting married in June in Palm Springs seems like a hot, crazy idea but we did it! The Rivera was the perfect place that we wanted and when we met Darin and saw the beautiful venue we knew! Not only is Darin highly responsive, he walked the venue with us giving us ideas and really helped us realize and see our vision. Darin is one amazing person as is everyone at this hotel. We received nothing but excellent service from the manager that we met one random weekend with our dog at the bar, to the exceptional chef and his food, to Tasha that helped manage our guest stays, to the wonderful buses, servers ans support folks during our reception, to Darin that helped the day go smoothly! Our suite was perfection and did I mention they are dog friendly?! We are so grateful they are so our dog could be part of our day! Truly magical venue with some of the nicest people you’ll ever met. I’m so happy we had our special day at this special historical hotel. When I got engaged I had no idea the amount of stress that would follow from finding a wedding venue. However, all of that was put to rest when I met Darin at the Riviera resort. As an extremely organized professional myself, I was highly impressed that Darin seemed to be a step ahead of every item on the to-do list. He was beyond accommodating, making us feel like we were getting a personalized and truly special wedding, not just a cookie-cutter template wedding. Darin did everything above and beyond, from being extremely responsive to every tedious email I sent from personally making sure we ate enough food on the big day. He even helped to coordinate communications and special requests with the entire hotel, restaurants, and bars so that once we asked for something we knew it would be taken care of and we never had to worry about it again. Darin at the Riviera is a rare breed that is hard to come by in today's time. He truly went above and beyond every moment, every step of the way. The Riviera will now be a place that we look forward to visiting many times over so that we can relive the amazing celebrations that Darin helped us create. The Riviera Hotel was absolutely perfect for our Great Gatsby themed wedding. The entire property is absolutely stunning and made for some amazing photographs of my husband and I. The staff is extremely friendly and bent over backwards to make sure we had the best experience possible!